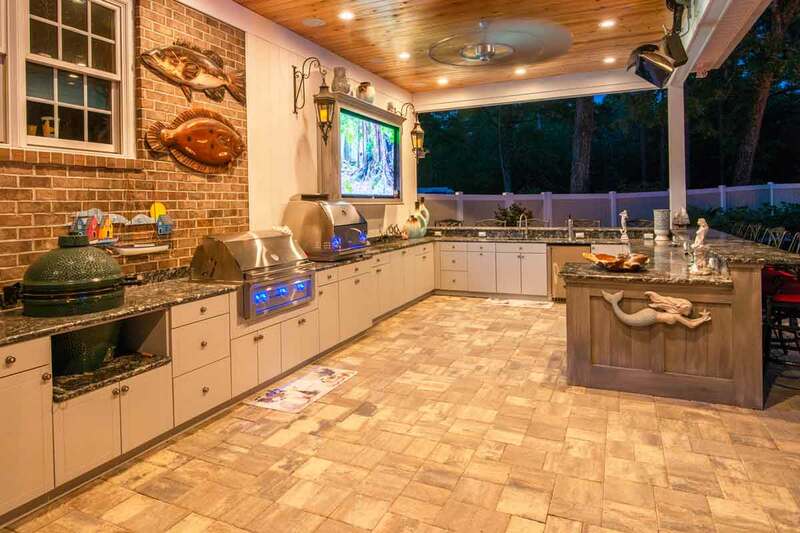 Getting the outdoor kitchen of your dreams is easy. We have helped literally thousands of customers just like you who have followed this process for a successful cabinetry project. 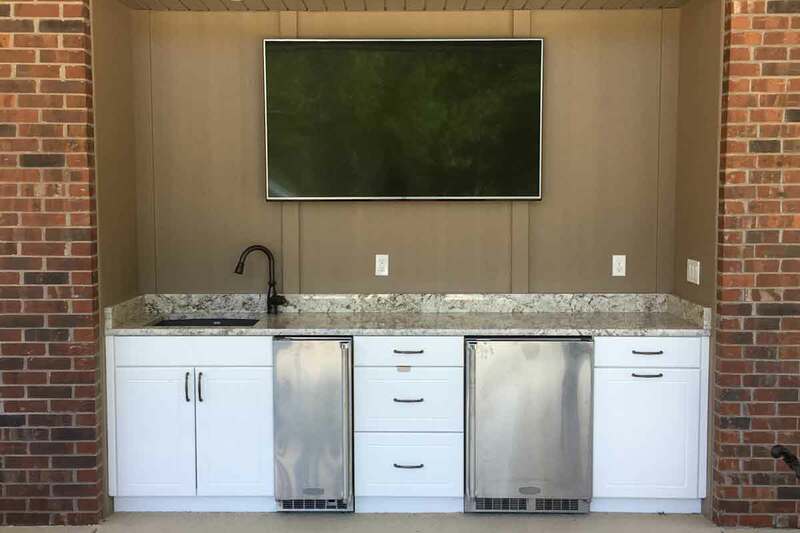 Our system is very well suited to the DIY outdoor kitchen builder, or a seasoned professional. 1. Tell us your ideas and get FREE product samples. You can call, email, or fill out this ONLINE REQUEST FORM to start the process. 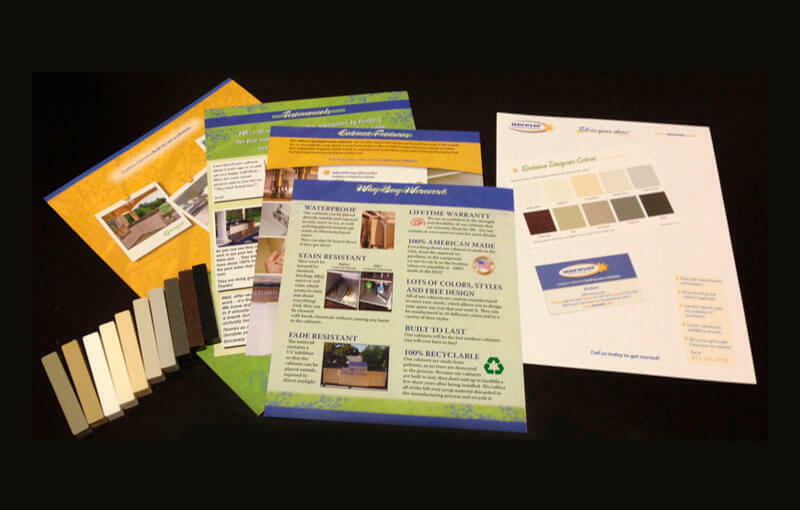 Tell us your ideas for a dream outdoor kitchen and we will send you a free information kit with product samples. You will be able to see the real colors of Werever Outdoor Cabinets and the quality of our material. We suggest you to test your samples, soaking them with water. Werever HDPE is a 100% waterproof polymer! You don’t have to be a skilled designer or architect, most people are not! Just tell us your ideas in whatever way you can convey your wishes. 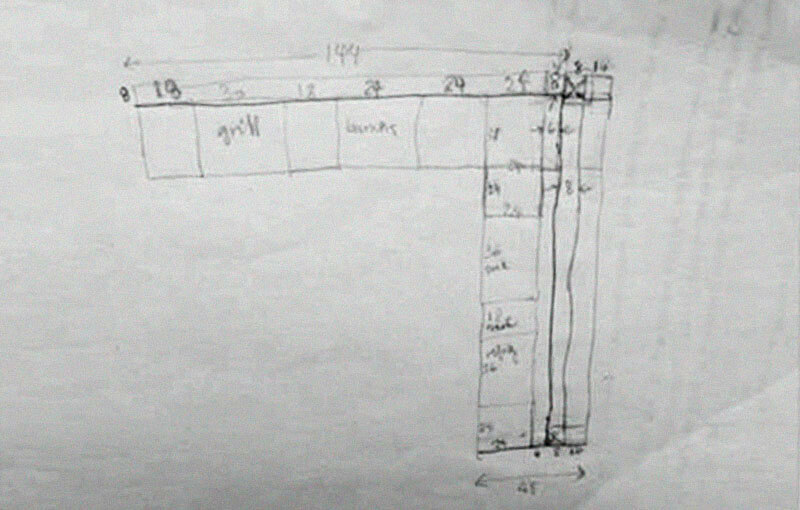 You can call, email, fax, scan, or even mail your measurements, diagrams, drawings or pictures. This is an actual sketch submitted by a customer. 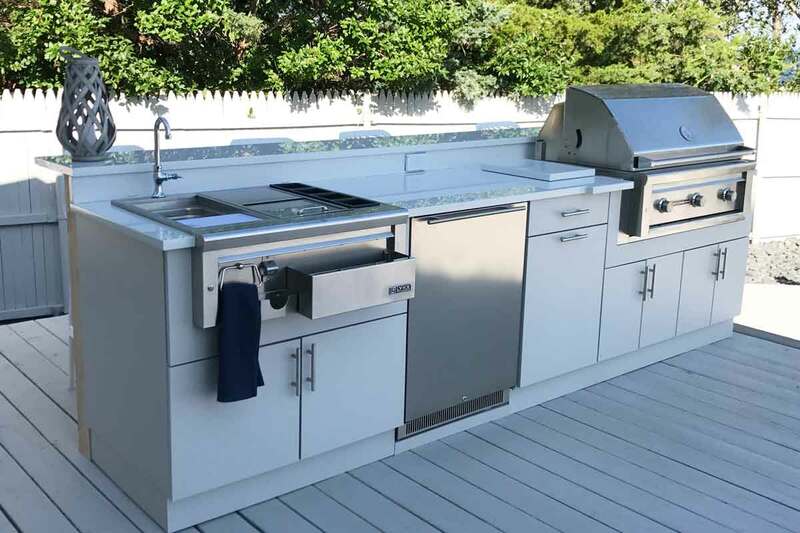 Werever designers are experienced in all kinds of challenges when planning an outdoor kitchen, and they can guide you through the measuring process as well. 2. 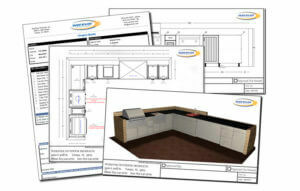 Get your FREE custom outdoor kitchen design. 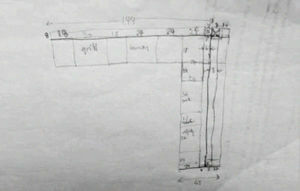 Our designers will translate your ideas into a custom plan set made just for you. 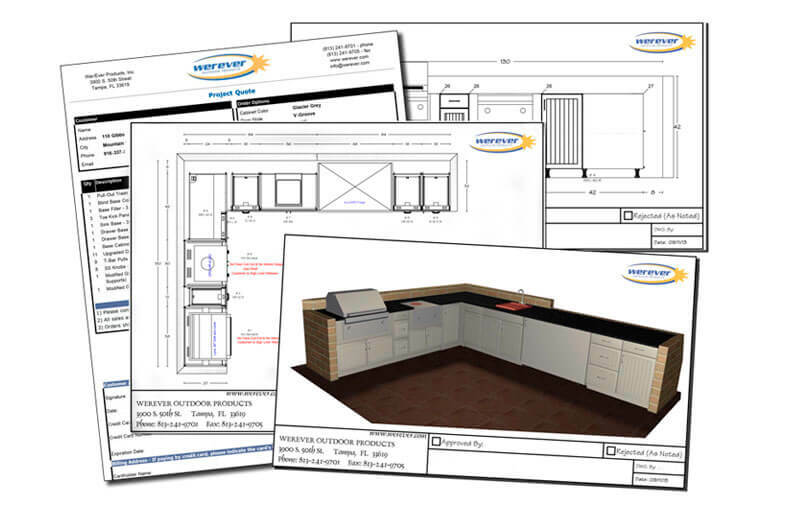 You will receive 3-D renderings, plan view and elevation views of your outdoor cabinetry with an itemized no obligation quote showing you exactly what everything will cost, shipped to your door. This design becomes yours to keep and use, with no fee or obligation. Werever free consultation and plans are fundamental tools for home owners, architects and construction companies that are looking for smart solutions with outstanding aesthetic results. 3. 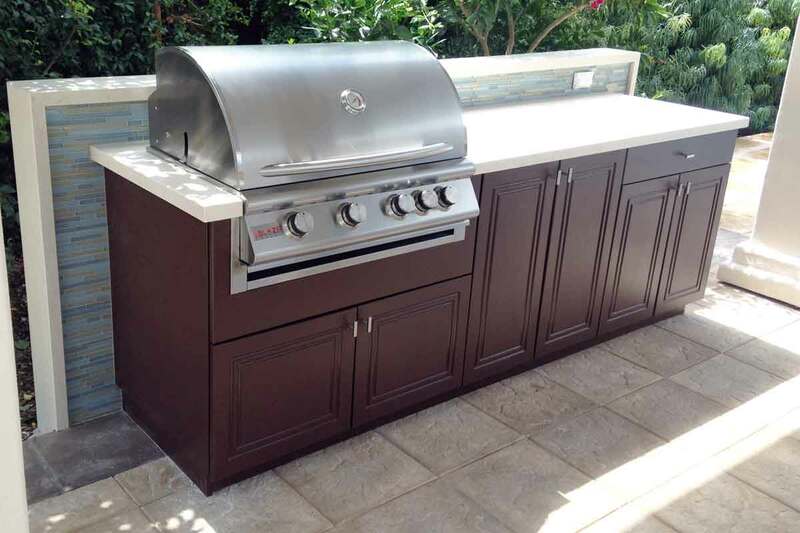 Order your outdoor kitchen. When you are happy with your design, place your order. Payment can be made by check, Visa, or Mastercard. Your cabinetry will be made to order, exactly to your specifications. Build time is typically 2-4 weeks. Please ask your designer for an estimated shipping time as production times can vary slightly depending on seasonal demand. Your cabinetry can be installed by a do-it-yourselfer (DIY) with knowledge of basic tools, by a handyman, or a local builder or contractor. They are engineered to be installed much easier than a typical interior kitchen. CLICK HERE to review the installation instructions. 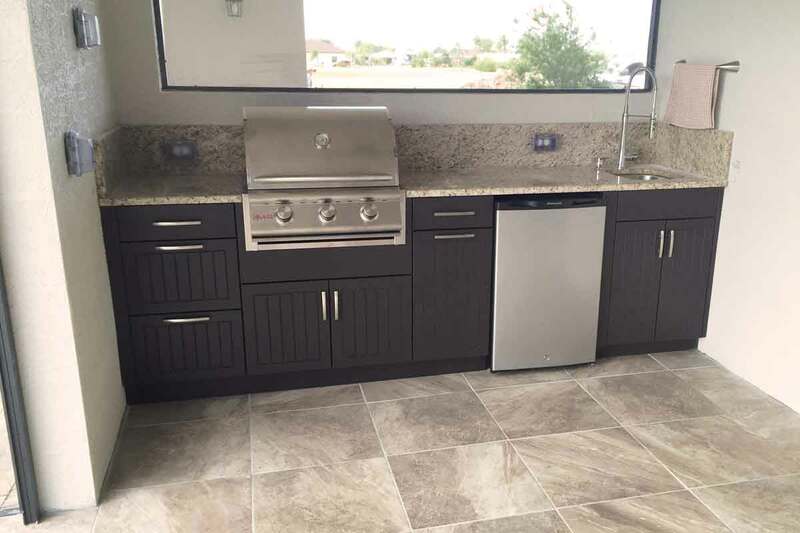 How Much do Werever Outdoor Cabinets cost? See examples of REAL outdoor cabinet projects with cabinet prices. Prices reflect outdoor cabinets only. 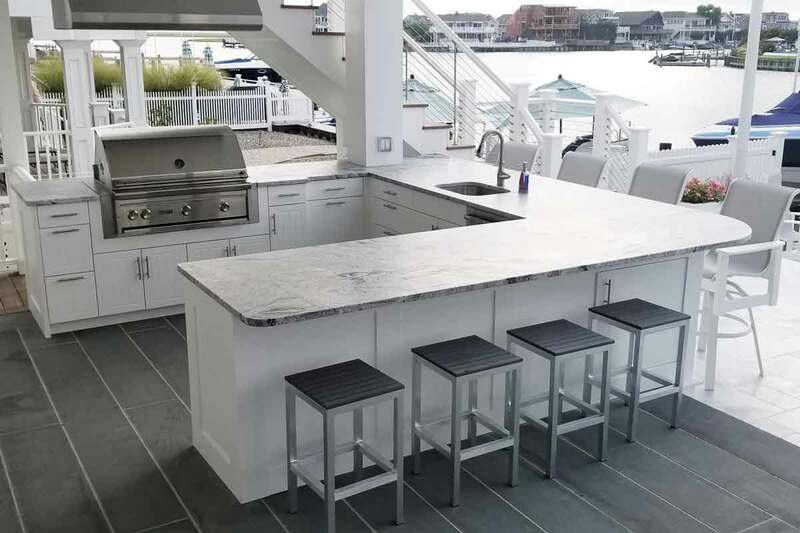 Werever specializes in custom outdoor cabinets. We build the strongest and most precise-fitting outdoor cabinets in the industry. Werever outdoor cabinets has been in business since 2001 with the best warranty in the industry. 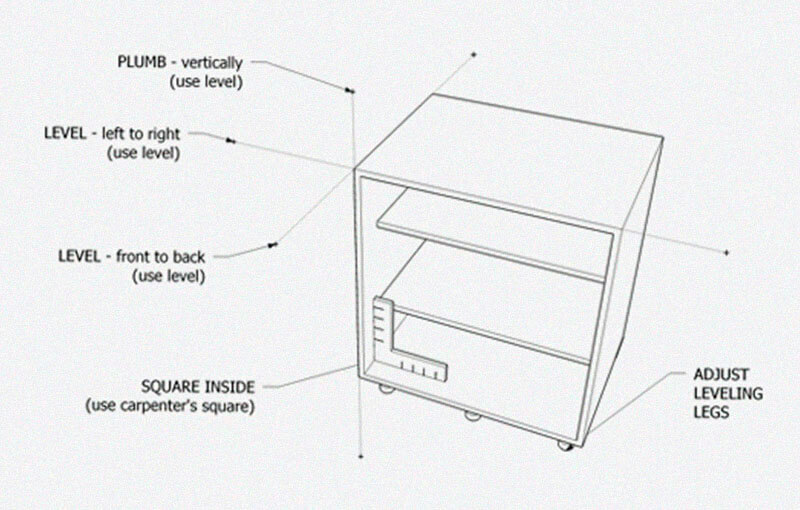 Werever Outdoor Cabinets are proudly MADE IN THE USA. You’ll find our weatherproof cabinets in backyards across the country, in ocean-front high-rises, in resorts, even in parks and zoos! Wherever beautiful cabinets are needed that can resist the worst environmental conditions, a Werever Cabinet is a perfect fit!